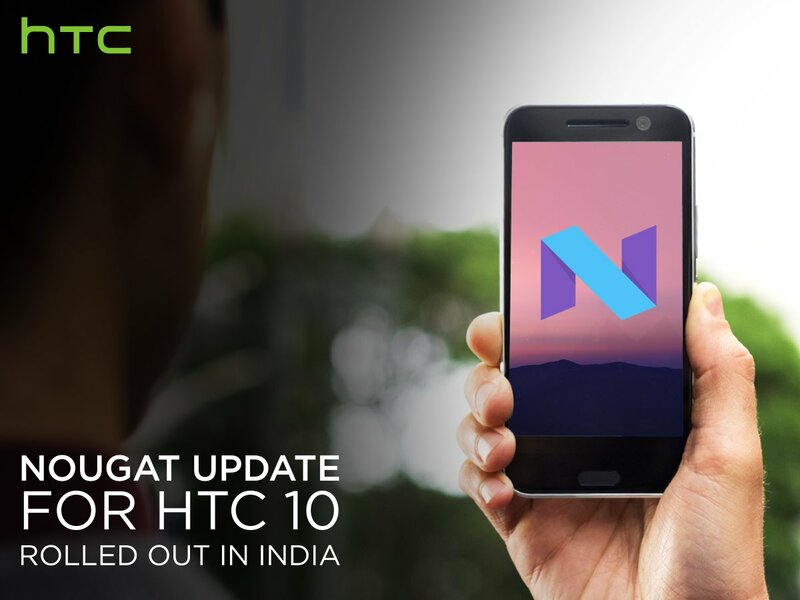 HTC has started rolling out the Nougat update for HTC 10 users in India.Update version number 2.41.400.5 and is 1.21GB in size. Along with the Android 7.0 (Nougat) OS, the update also brings the latest Android security update, system enhancement along with several bug fixes. 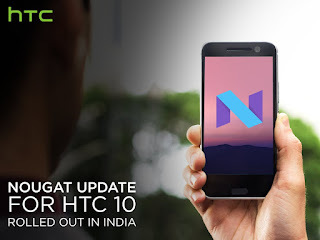 HTC 10 has a 5.2-inch (1440 x 2560 pixels) Quad HD Super LCD display powered by a Quad-Core Qualcomm Snapdragon 820 64-bit processor with Adreno 530 GPU coupled with 4GB of RAM and 32GB of internal storage. The phone comes with a 12-megapixel UltraPixel 2 camera sensor at the back with laser autofocus, OIS, f/1.8 aperture, auto HDR, 12x slow-mo video recording, and 4K video recordingOn front there is a 5MP optically stabilized shooter with f/1.8 aperture, an ultra-wide angle lens, live makeup and auto HDR. Packed with a 3000mAh Battery.